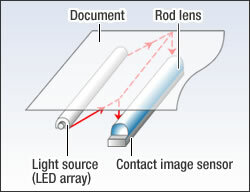 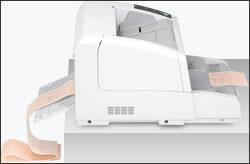 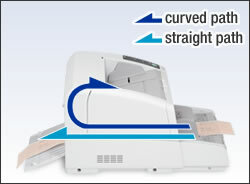 The same high-speed operation is achieved for both 200 dpi and 300 dpi scanning, and for both double-sided and single-sided scanning. 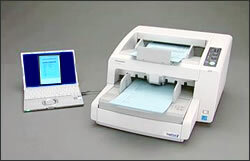 This speeds up the job of turning even large amounts of daily forms and mountains of documents into data. 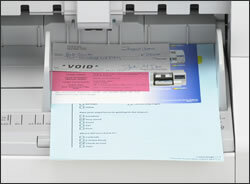 Clean, crisp, clear scanned data is also ideal for electronic file conversion and management. 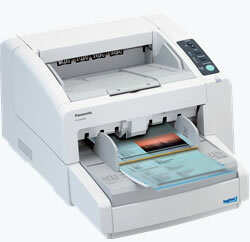 Documents from business-card size all the way to A3 with a variety of paper thicknesses can be fed at the same time – ideal for offices that handle a wide range of document types. 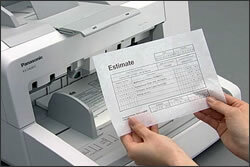 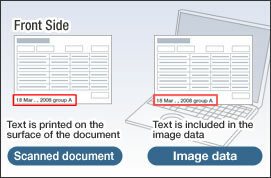 With the optional imprinter mounted, special characters such as "group A " can be printed onto documents. 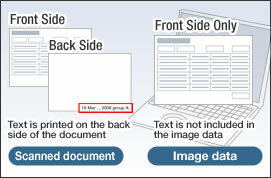 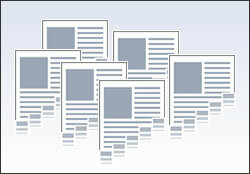 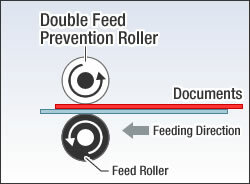 This helps to prevent pages from being missed when scanning, and raises filing reliability. 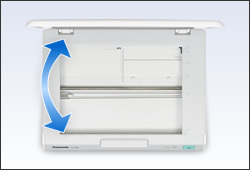 By selectively using the KV-S4085CW / KV-S4065CW and the optional KV-SS081, you can easily scan documents and booklets, and save them in the same document.